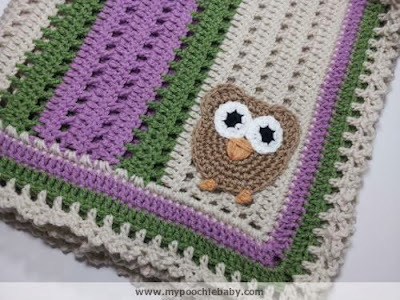 This big eyed owl blanket is so easy to make. 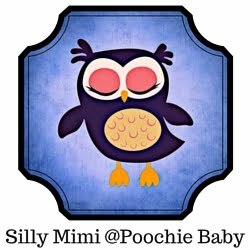 And, the end result is adorable! 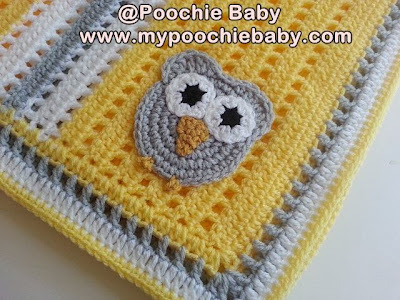 This blanket can be custom made to match any nursery. Just think of all the possibilities. The finished blanket is a perfect receiving blanket sized. 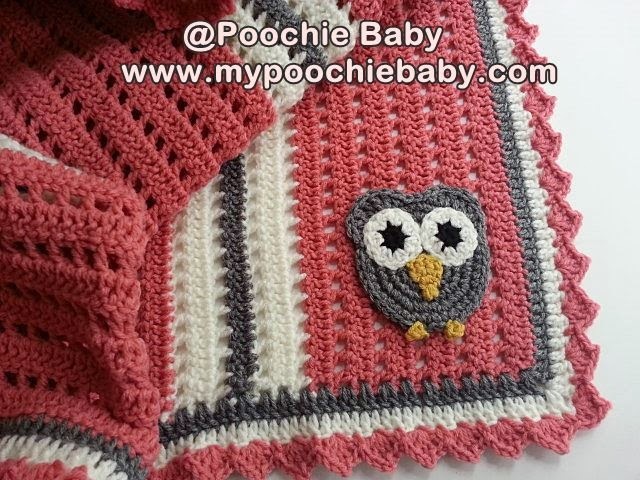 It will last for years and be a great keepsake for special little babies. 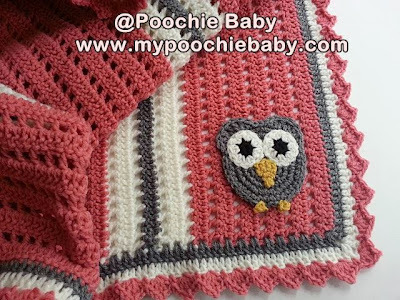 Pink, gray and white owl blanket. Pattern: $4.50 buy now! Modified picot edge and color row combinations. Not shown in pattern. 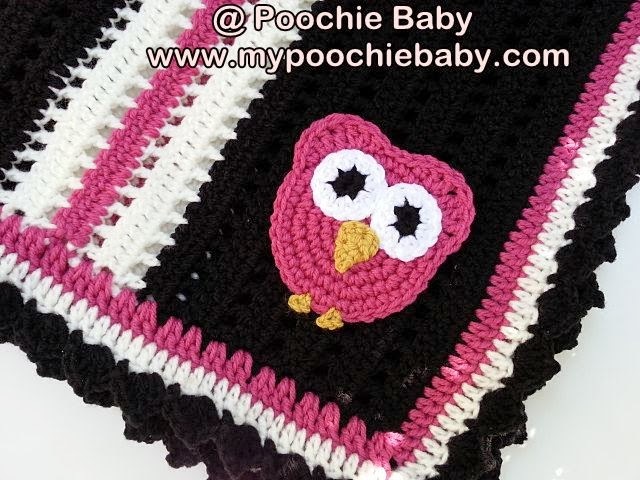 Pink, black and white owl blanket. Pattern: $4.50 buy now! 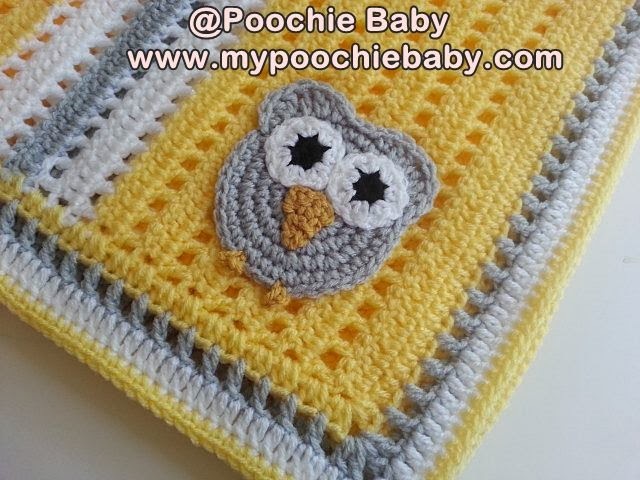 Yellow, gray and white owl blanket. Pattern: $4.50 buy now! 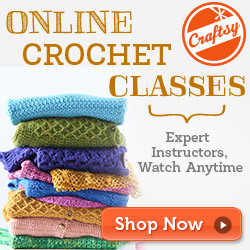 Simple single crochet edge and color row combinations. Not shown in pattern. 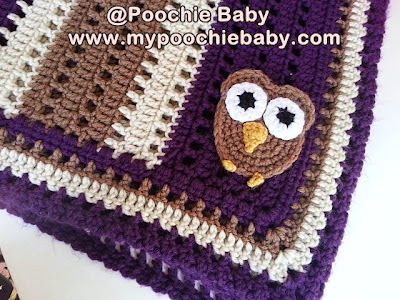 Purple, brown and white owl blanket. Purple, green and white owl blanket. 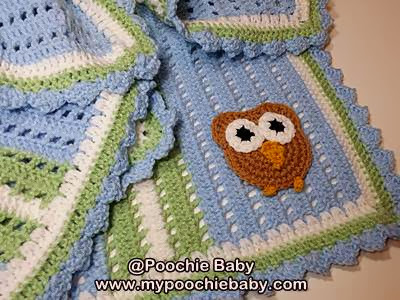 Blue, green and white owl blanket. Pattern: $4.50 buy now! 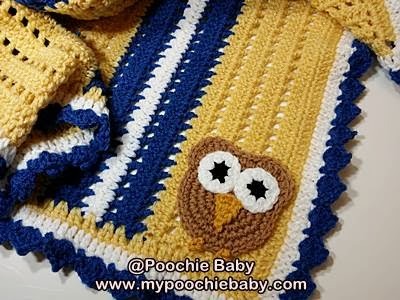 Blue, yellow and white owl blanket. Pattern: $4.50 buy now! These pictures show the blanket with three different edgings.... The blanket in the pattern has the looped, ruffle edge. It is possible to modify the edges as you like to suit your needs.